IoT is the buzzword every enterprise and businesses are talking about. Almost all the discussions that start with innovation boils down to IoT (Internet of things). With the advent of IoT the world is connecting more, as each day a newer, different and a larger quantity of data is collected. It means a thing (device A) communicating to another thing (device B). These connected devices and systems will collect data through embedded sensors or actuators in machines or other physical objects. The interconnection of these devices will create a wave of automation in almost every field. IoT is said to a perfect combination of the physical world with its virtual counterpart thus making it a perfectly connected world. Just like IoT the aim of ERP is to serve its customer in the best possible way. The flood of data generated from IoT can be fed into the ERP Software to benefit the manufacturers in product life-cycle starting from its design, development, manufacturing, tracking, delivery up to any kind of support that may be required thereafter. Although the majority of ERP vendors are trying their best to adapt modern technologies such as mobility, wearable tech and the cloud, the internet of things is considered to be the next movement in the world of technology. 1. Without any human intervention, re-orders, replenishment, out of stock inventories, missed deliveries could be informed to a business’s ERP through the internet connected sensors and devices. 2. IoT can inform manufacturers by sending notifications and warning when products need attention or repairing or a machine breakdown has been observed. However, to have such functionality, it is necessary that business adapt their processes to this new model as well respond to it accordingly. 3. IoT brings tons of new data. This data should be collected, processed and analyzed properly so as to reap the benefits of IoT enabled ERP software. One of the most important concerns here can be the robustness of the software. It should have the power to handle the influx amount of data coming from various devices and products. 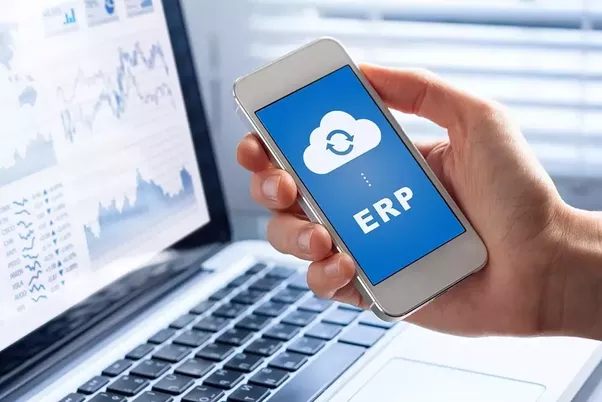 Manufacturing companies need to do a lot of pre-preparation while taking into consideration the current size of your ERP software and the ability of these tools to connect with IOT. 4. To give an on the spot solution, you need have on the spot information. IoT will get it done in real-time. ERP will give you a clear understanding of the existing situation while IoT will get you possible solutions. IoT will create junk of information which ERP can extract for the betterment of the business in the best possible way. 5. Can protect your products besides theft by making use of the sensor. If someone opens the package before it is delivered to its destination an alert message or mail will be immediately sent to the patron registered number or email. 6. There are certain products that have to maintain under specific temperature or pressure to retain its quality until it is received by the customer. Some of the IoT solutions exist that will safeguard your products against this risk and will maintain the quality of the batch.